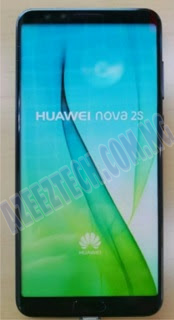 Huawei will be launching a new smartphone name Huawei nova 2S which almost have the same Spec and Features with Huawei Nova 3. The new smartphone features a 6 inches LCD =touchscreen display with a resolution of 2160 x 1080 pixels. The device 6GB RAM and a 64GB internal storage memory. Huawei nova 2S is powered by a Octa Core HiSilicon, Kirin 960 processor and runs on Android v8.0 Oreo. The device memory can be expanded up to 256GB via microSD. For the camera, Huawei nova 2S comes with a 20 mega pixel rear camera with LED flash. weighing 170g, Huawei nova 2S is expected to be announced in December. See complete specification below.